It's back-to-school time, one of my favorite seasons of the year. Back to school represents something that burbles out in all my characters and stories. It's revealed in my favorite holidays, and it makes me cry at baptisms, weddings and graduations. What is it? The glorious promise of a fresh start, a blank page, uncharted territory. It's the reason I like Monday better than Friday, why the first of the month is better than the end of the month, and why New Year's Eve and Easter top Christmas and Thanksgiving on my holiday list. The idea that we can reinvent ourselves, that we can start over again, that we aren't trapped in the mistakes and weaknesses and failures of our past, is one of the most alluring aspects of being a Christian, in my opinion. No matter what happened yesterday, today is a new day. It's never too late to start over. God's loyal love couldn't have run out, His merciful love couldn't have dried up. They're created new every morning. How great your faithfulness! Our local papers and stores will be full of "back-to-school" sales and events for the next few weeks. When you see them, I challenge you to look at your life and think of the areas where you could use a "new year" or a "fresh start." Got something in mind? It could be your writing career (I'm with ya), or your marriage (yeah, there's some work to be done there, too), or your health and fitness (doesn't matter how many times you've failed or fallen off the proverbial wagon), or your devotion to God (who couldn't stand to pump up the volume there?) or ANY other aspect of your life... This back-to-school season, let's gather up our supplies, put on a new wardrobe, set a new schedule, and plunge in! 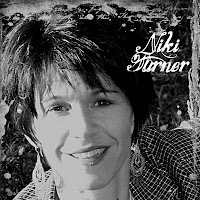 Endeavoring to infuse her writing (and everything else) with the love, mercy, and joy that come from Christ Jesus, Niki a mother of four, grandmother of two (almost), former pastor's wife and church planter, avid reader, journalist, blogger, and aspiring author in her native state of Colorado. Niki, I completely agree. Fall is my favorite season and what better way to start than with new clothes and crayons? I have had the most unsettled summer I've ever had since the year I had a June baby! You can't believe how much I look forward to September and a return to the older version of normal. I intend to do the three biggies - improve my eating habits, focus on completing my current book, and draw closer in to the word of God. I am so thankful for new starts. Even though we get them daily, I like the promise of a new season too. Those three things are the tops on my list, too! We've both has a crazy few months. I'm looking forward to having a SCHEDULE. 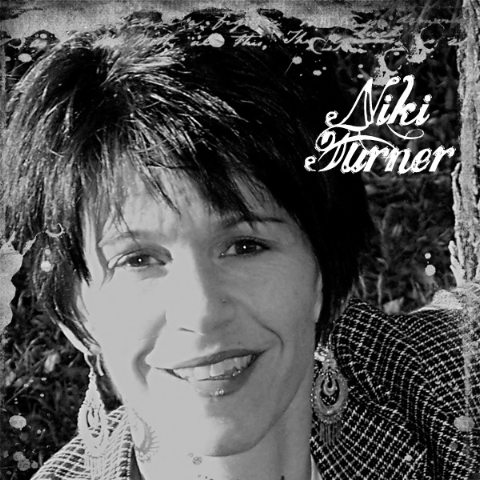 Great post, Niki. This has been the craziest summer for our family, and it certainly hasn't felt lazy! A kid involved in high school activities can do that, I guess. It feels odd to yearn for school so we can return to a more calm sense of normal, LOL. A schedule sounds delightful. I love the smell of a new box of Crayons. I was never happy to see that yellow bus, though. Nor did I look forward to the first day of school. But I love the knowledge that no matter how things appear today, thete's a fresh start on the horizon. Did you know there is a cologne you can buy that smells like new crayons? They also have one that smells like Play-Doh! Really, Niki? Why on earth would an adult want to smell like Play-Doh or Crayons? Mind you, I guess if you're a teacher you could use this like aroma therapy to put kids at ease. As a teacher, thanks for the Teacher's prayer! Shared it with my colleagues.